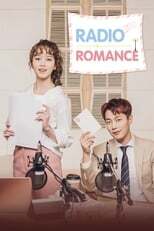 List of the latest South Korean TV series in 2019 on tv and the best South Korean TV series of 2018 & the 2010's. Top South Korean TV series to watch on Netflix, Hulu, Amazon Prime & other Streaming services, out on DVD/Blu-ray or on tv right now. 2018, 2017 & the 2010's best rated South Korean TV series out on DVD, Bluray or streaming on VOD (Netflix, Amazon Prime & Hulu). A South Korean Rom Com about a man who meets himself from 10 years ago, and decides to change the past with his first lover. 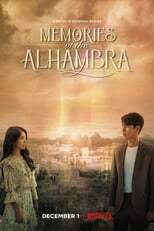 This South Korean Netflix series is set in Granada Spain at the Alhambra Palace and it's about alternate realities and centers around an augmented reality game that distorts your perception of the world around you. Two Travelers meet there and find themselves in a remarkable situation. "Mr. Sunshine" aka "Miseuteo Shunshain" is a South Korean Action drama set in the early 1900's. 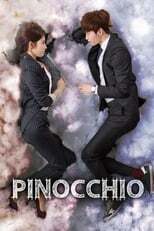 It is about a US Marine who falls in love with the daughter of a Korean Aristocrat. Through the discovery of the diary of Shin Saimdang, a historical Korean figure, a Korean art history unravels the mystery behind a famous painting. The first episode of Pinocchio starts with the introduction of the 'Pinocchio syndrome' through a girl that hiccups whenever she tells a lie. Then, an explosion in a factory leads to an extensive media coverage and then is sensationalized when a body appears to be missing. The show centers around the missing body (which is still full of life) and a mother and daughter, who unknowingly stumble across the missed person. A fairly complicated story about political powerplay in the Department of Justice in South Korea. A prosecutor who worked his way up as a chief of the anticorrupition investigation team, learns that he has a brain tumor and does not have a lot of time left. He chooses to clean his slate and does so by politically attacking a corrupt Public Prosecutor. The ‘K-drama’ genre is popular worldwide and the shows to choose from is huge. In North-America, Netflix included some K-Drama shows in its selection and online streaming sites like Hulu and DramaFever attract a vast audience. In terms of quality drama however, a decent K-Drama show is hard to find. A couple of shows are worth a try, though. Below you’ll find the two best K-Drama shows of the recent past. 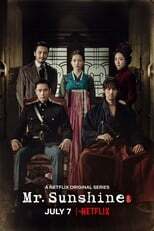 South Korean drama, or K-drama, dates back to the 1960’s, but the modern conception of the deurama format (12-24 episodes per show) started somewhere in the 90’s and does not have a lot in common with television series produced in the western parts of the world. Indeed, it is something else. Most shows are kitschy to say the least. The style is defined by colorful and soft images, questionable screenplay, corny comedy and a way of acting that resembles Western soap operas. The dramas are usually produced with one director and one writer, and are broadcasted on two consecutive nights three times a week. Needless to say, K-Drama differs from the American and European ways of making television. The genre is popular worldwide though and the amount to choose from is huge. In North-America, Netflix included some K-Drama shows in its selection and online streaming sites like Hulu and DramaFever attract a vast audience. In terms of quality drama however, a decent K-Drama show is hard to find. Most shows don’t come near the quality of Western shows. Mostly, the shows don’t even try. 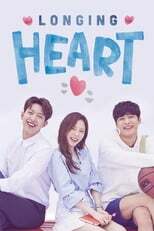 As mentioned before, K-Drama has it’s own standard and obviously does not try to rival with channels like HBO and AMC. A couple of shows are worth a try, though. They may not be as interesting as South-Korean cinema is, but it might a refreshing experience for those who are in search for something completely different.